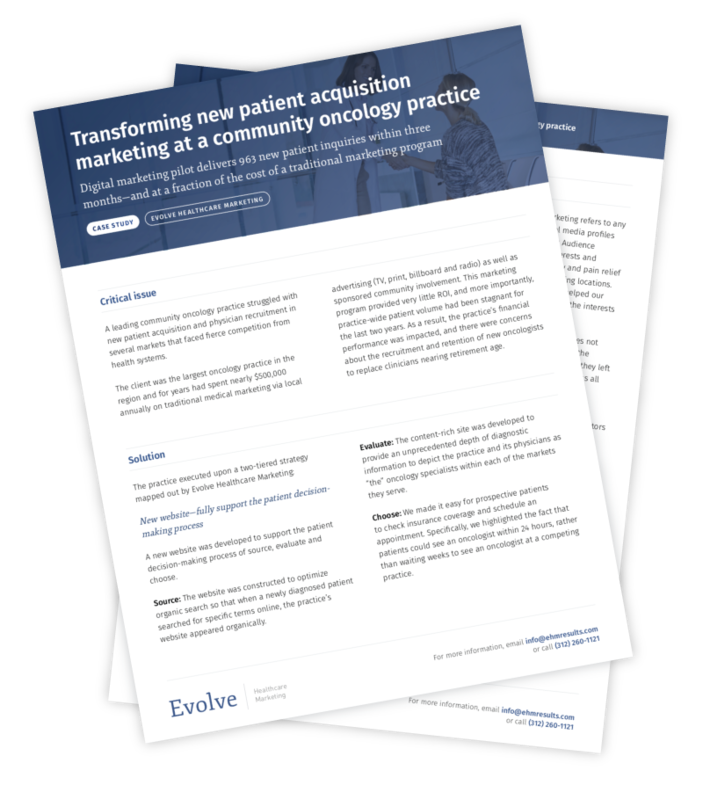 A leading community oncology practice struggled with new patient acquisition and physician recruitment in several markets that faced fierce competition from health systems. By working with Evolve Healthcare Marketing and leveraging digital marketing tactics, the practice reemerged as a formidable force in the market and is taking market share from the competition. To learn more, download our case study.